September 7th, 2019. Be part of a one of a kind event. 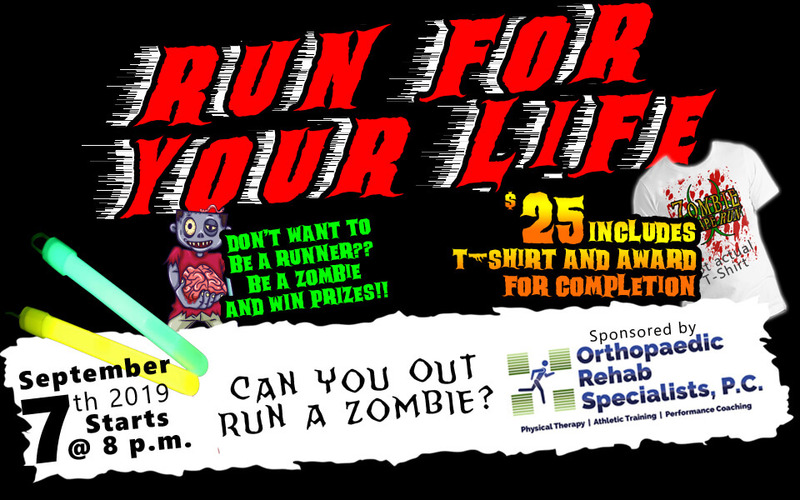 Run for your life is a 2.5k run that takes you, the runner, across country terrain and through our haunted houses while trying to outrun the zombies……………………………………………..